Years ago, people kept private diaries. Nowadays, the world has gone a lot more public. Online, you can find billions of privately owned blogs that are opened to everyone in the world. Blogs can come in all sorts of formats. You might find a blog on a specific website made just for that, or you might find a blog on a social networking site like Twitter or Facebook. You might not realize it but your Facebook account is basically a private blog of your own. On your social media account, you add pictures, quotes, recipes, and anything else that might relate to your life and tell the world more about who you really are. These sites let us be ourselves, while others try to pretend their someone they’re not. If you’re searching for a new place to add content from your life like your thoughts and ideas and things that make you smile, you’ll love this list. Our favorite site of the genre is Tumblr. Tumblr is a social media site similar to Facebook and Twitter and at the same time, it’s not. This site is also a blog to share all sorts of media with all the other people in the world who are using Tumblr. On this site, you can share 7 different kinds of media. You can share simple written messages, you can add pictures, you can add videos, you can share interesting and shocking links. You can chat directly, you can add songs, and you can add quotes with a single click. Once you’ve posted the media of your choosing on Tumblr, you then have more options. You can add more media, you can write a short description for your content, and you can add tags so that others can easily search for your posts by using single words or short phrases. 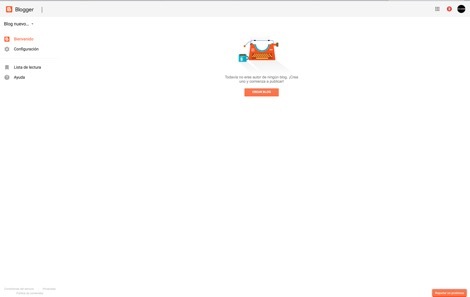 This free blog hosting site only requires a password and a verifiable email address to get started. Once you’ve verified your email you can start posting or you can change the appearance of your profile to make it feel more like you. Tumblr seems complicated when you first look at it but you will soon realize that this site is one that shouldn’t be missed if you want to share who you are with the world. For more free blog sites like Tumblr check out our list below. They are all a little different but each one is 100% free to use. Find the one that fits with who you are and start documenting your life today. 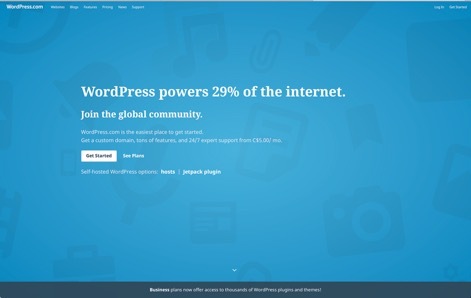 A lot of people use WordPress to create a stunning website without any complications, did you know that you can also use WordPress to create a simple blog online? This is the best place to start a blog if you want it to have added features like pictures, video, and stylized fonts and structures. WordPress is free to use and it has millions of plugins that range from everything from automated tickers that will count your visitors and snowflakes for your screen. WordPress is scalable and secure, has built-in SEO features that will get your words noticed with Google, and hundreds of free design templates that you can get started with. Try WordPress now if you want something that all your friends will be envious of without the added effort. 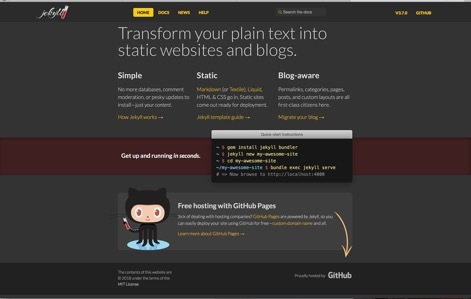 If you are looking for a good website like Tumblr, Jekyll is one of them. Jekyll is one of the top blog hosting sites that a lot of people don’t know to think about to use. This free blog website lets you turn your plain text ideas into a strategic website and blog easily and without complications. On Jekyll, you won’t find any annoying updates that need to be installed, nor will you find any comment moderation or databases. This site is just a place to write and read without any written judgment. If this is the kind of blog that you’re looking for, sign up for a free account now. Another great addition to this list of popular blog sites like Tumblr is called Medium. Medium is loved by all sorts of people. On this free blog site, you will find categories for entrepreneurs, technology lovers, creative people, and more. Medium has millions of personal blogs and they’re all organized to perfection. 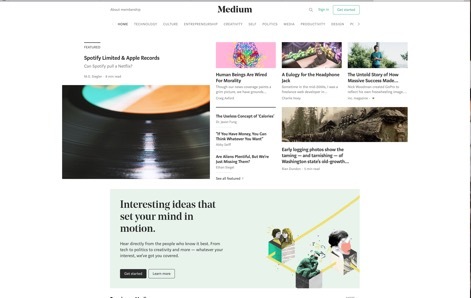 If you want to read about something specific select a category to get started, you can also check out the Medium homepage to see all of the recent posts on all sorts of different topics. Blogger is one of the top alternatives to Tumblr. This free to use online service lets you create a unique and beautiful blog without having any previous knowledge in the field. On this site, you can start creating your own blog in a matter of minutes. All that you need to do to get started is to create a free account. Once that’s done, you can follow the easy to understand tutorials to start creating a blog of your own. Share your posts on your social media accounts to start getting more readers. The last recommendation on our list of places like Tumblr is Yola. 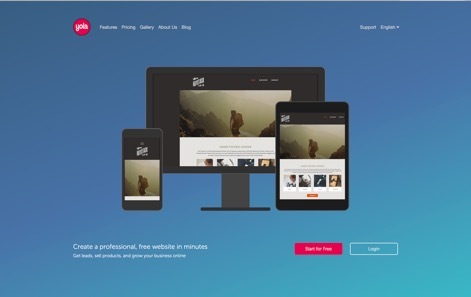 Yola is a place online that lets you create your own free website. This free website builder has a ton of tools and features that you’ll enjoy if you’re just starting out in the field or if you’re an expert. Yola is great for individuals and businesses and every post that’s added to this site is instantly added to major players like Google, Yahoo, and Bing. Start making your own free Yola website now, premium features are also available with a paid account.